Go through the boxes in your attic, shed, closet, and garage to select items you wish to sell. Then, walk room to room through your home and identify items you no longer need or use. Many people have trouble parting with items even when they are not being used. If you belongings have not been used for over a year, chances are you will not miss them. Many homeowners skip this step but it can be extremely helpful on the day of the garage sale in case price tags get lost. It can be hard to come up with a fair price on the spur of the moment under pressure but an inventory will help. Attach a brightly colored label with the price to each item. For similar items you can save time by putting them into a box together and labelling the box but be sure to include the boxes and their contents on your inventory sheet. If you have items you simply wish to get rid of, price them accordingly. After all, you don’t want to end up backing them back into storage if you try to get too much money for them. For more valuable items, it is common to charge about ¼ of what you paid or less. You may wish to make exceptions to this rule for certain items that are practically new or any valuable antiques but keep in mind that garage sale shoppers are looking for a bargain. Some city’s may place restrictions on things like the placement of signage, hours of operation, or frequency of garage sales so be sure to check local regulations. Two-day garage sales are often the most successful and summer weekends are the best time to have them. Advertise before you sale in the local paper, free weekly community papers, and online resources like Craigslist. Be sure to mention any big ticket items you have for sale. Make and hang signs around your neighborhood. Include times and location of the big sale. Garage sale shoppers are more likely to buy if it looks like the merchandise is from a home with owners that take care of their belongings. They are also more likely to feel comfortable stopping to browse if the sale space is clean and attractive. 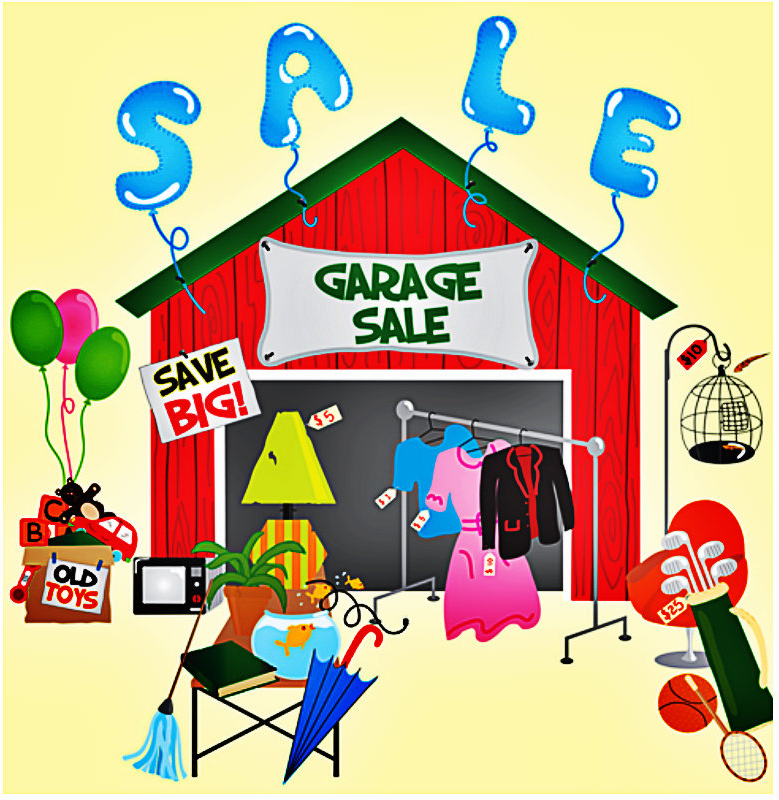 So make sure that the sale is put up in a well organized and clean garage space. Finally, before you set up for the day, go to the bank and get some rolls of change and smaller bills. Keep in mind that many people who wish to buy from you will probably have 20 dollar bills and will require a fair bit of change.